Natural Energy is enhanced with Forskolin and Acetyl L-Carnitine, which combine to form the Forslean™ Mode of Action with proven results to help prioritize the metabolization of body fat for mitochondria cellular energy. Natural Energy is 100% all natural,pharmaceutical grade and therapeutically dosed. 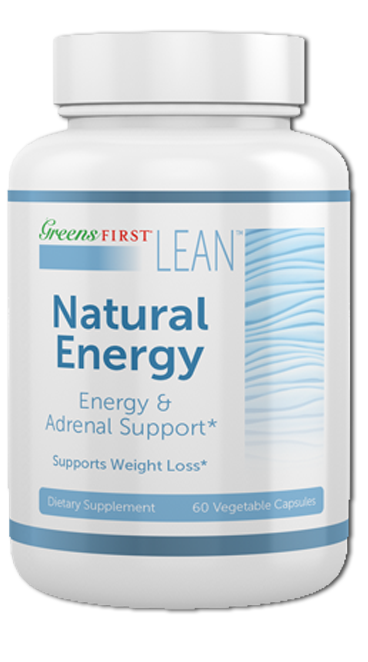 Greens First Lean AMP-K Diet is dedicated to helping woman and men boost their metabolism, increase muscle, and reduce excess body fat. By repairing a person’s metabolism, we can help improve overall energy and health. Losing weight is complicated, just eating less and exercising more makes you hungry. We help create a balance so that you lose weight without being hungry or feeling weak and sluggish. Let us show you how to naturally lose weight, not by dieting, but by correcting your metabolism. Eat real food at your favorite restaurants while losing 2 to 4 pounds per week. 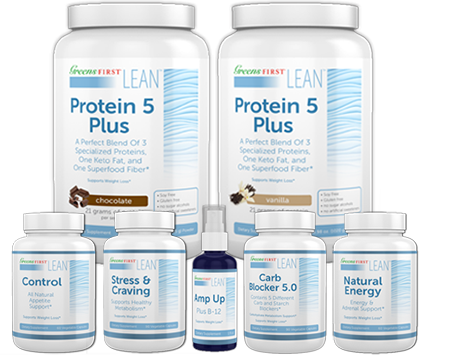 Everything You Need…All Natural, Researched-Based, Delicious Products To Help You Lose Weight Without Hunger or Cravings! 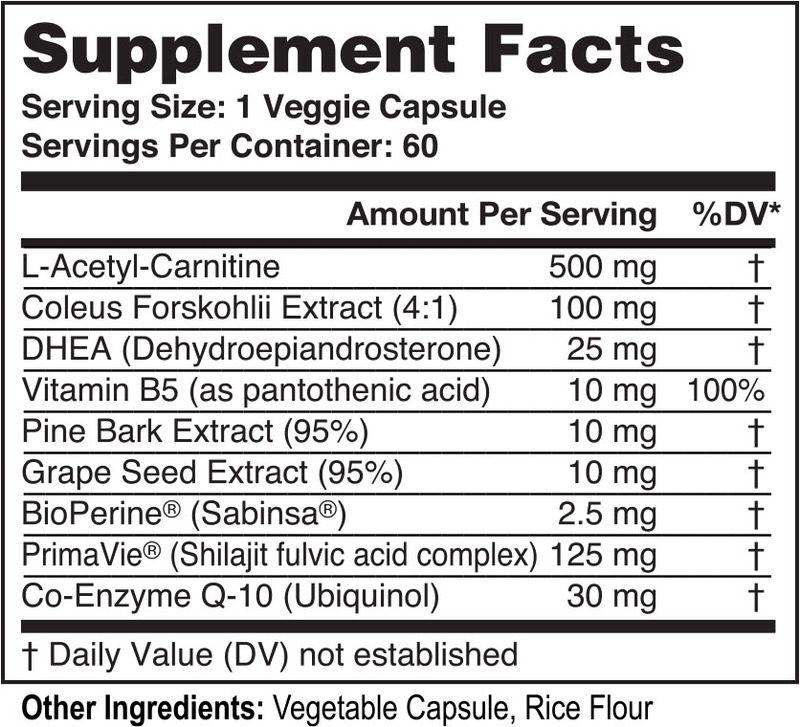 As a dietary supplement take 1 veggie capsule twice a day or as directed by your healthcare provider. I have struggled all my life with my weight. I’d lose it and then I’d gain it back. I not only looked terrible…I felt terrible. I finally found a way to get help without starving myself. Thank you Greens First Lean AMP-K Diet for helping me get the weight off and keep it off! I’m a guy who gained a bunch of weight when I broke up with my long-term girlfriend. I was depressed and ate terrible. I thought I’d try these products because I thought, what do I have to lose? I really liked it because it was easy to do. I have a huge appetite and I did not feel hungry, which was very important for me. OK- I know you probably think this program is just another diet pitch…Well so did I until I followed exactly what the guidelines said. It’s great to finally have something that really works at burning fat and helping me curb my appetite because I’m a real sugar lover. It helped me lose my tummy and I really feel so much better overall. I’m currently down 110lbs from 150lbs. The Greens First Lean AMP-K Diet Program changed my life. Highly recommend their program if you are trying to lose weight and really want to keep it off. My goal at 51 was to achieve good health – not a certain number on the scale. Thanks to Greens First Lean AMP-K Diet Program, I am on my way to success. I have lost 70 pounds as of today and am staying on course to reach a healthy weight. As a lifelong “dieter” with many highs and lows, it was hard for me to grasp the idea of making permanent changes to not only the way I eat (by giving up the foods that my body does not like) but also to the way I view my body (as a fine-tuned machine that runs well on clean food and poorly on junk). 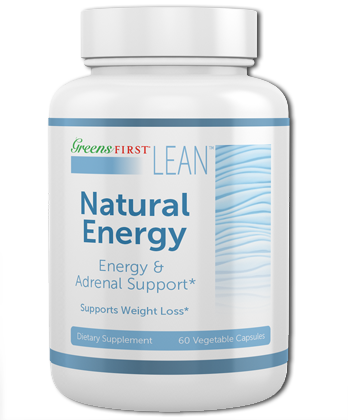 Our Greens First Lean AMP-K Diet Program works quickly to address the underlying causes of cravings and hunger. When we eliminate cravings and stabilize your metabolism, we create balance which leads to weight loss without hunger. This metabolic balance creates long term lasting results. ©️ 2019 Ceautamed Worldwide LLC. All Rights Reserved.